Plant parasitic nematodes pose a serious threat to food security in Africa as they damage crops and hamper production. 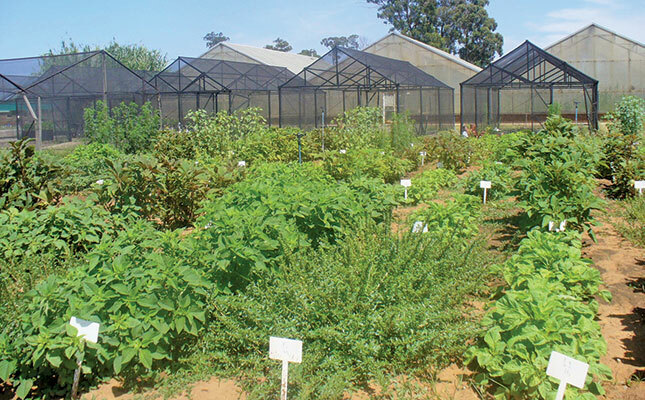 Dr Nancy Ntidi, a nematologist at the Agricultural Research Council, spoke to Annelie Coleman about the effects these pests have on African leafy vegetables, and how they can be effectively managed. In an extensive study, Dr Nancy Ntidi evaluated the resistance of African leafy vegetable species, particularly Amaranthus spp, to root-knot nematodes. It is expected that the world’s population will increase 35% by 2050. It is thus also anticipated that the demand for food will increase 75% over the same period. Therefore, efforts to improve crop yields are crucial. While some African countries have attained success in addressing food insecurity over the past 20 years, a lack of nutrition still poses a challenge. As such, African leafy vegetables (ALVs), commonly known as morogo (Tswana for ‘vegetables’), are increasingly recognised as valuable sources of micronutrients and bioactive compounds such as calcium, magnesium, potassium, phosphorus, zinc and iron, as well as proteins and carotenoids. These vegetables are widely consumed on the continent by poor people in rural and urban areas. However, the often overlooked plant parasitic nematode problem in Africa poses a real threat to food security. These nematodes compromise crops by limiting the uptake of water and nutrients, thus disrupting the plants’ physiology and causing lower crop yields. They also negatively affect the quality of ALVs, which results in economic losses. According to Dr Nancy Ntidi, nematologist at the Agricultural Research Council’s Grain Crops Institute (ARC-GCI) in Potchefstroom, while these vegetables have adapted to hot and dry conditions, they remain prone to infection by various diseases and pests, incuding plant parasitic nematodes. Plant parasitic nematodes are microscopic worms that cause significant damage and can result in the total destruction of plants. These pests are some of the most abundant on Earth, and have adapted to survive in any environment. The severity of plant injury resulting from nematode activity depends on factors such as the plant and nematode species, as well as prevailing environmental factors such as temperature, rainfall and soil type. Only a few nematode species feed on plant parts above the soil such as leaves, stems, flowers and seeds. The majority feed on the underground parts of the plant, including its roots, rhizomes, bulbs, pods and tubers. Nematode infestation often results in non-specific symptoms such as slow plant growth, stunting and yellowing. Most nematodes feed on bacteria, fungi or other microscopic creatures, and are spread through the movement of soil particles from one location to another via equipment, tools, shoes, insects, water and the translocation of nematode-infested plants. The ALV species most used in South Africa include amaranth (Amaranthus spp), blackjack Control (Bidens spp), white goosefoot (Chenopodium spp), spider flower (Cleome spp), purslane (Portulaca spp) and nightshade (Solanum spp). These vegetables are considered particularly valuable in the diets of the underprivileged because of their substantial nutritional value and ability to fit into year-round production systems. Despite this, research on the effect of these nematodes on ALVs remains limited, and extensive studies on the occurrence of plant parasitic nematodes, particularly of the Meloidogyne spp genotype, in lands and gardens where these crops are grown must still be conducted. Ntidi studied the nematode host status of 20 ALV species, which commonly occur in the lands of developing farmers, to M. incognita and M. javanica. The study was extensive and included a survey conducted at 10 localities across four provinces in South Africa, as well as experiments conducted in greenhouses at the ARC-GCI. It ran from 2014 to 2016, and showed that none of the ALVs sampled and evaluated were immune to the nematodes. However, substantial variation existed among genotypes. Some of the species such as Solanum retroflexum (wonderberry) and Amaranthus accessions, such as Arusha, Joseph’s Coat, Bosbok Thepe, ex Botswana, and Applebosch, were highly susceptible to the two Meloidogyne spp used, while other Amaranthus accessions (Oyaya, Red Stem, Local 33 and Thohoyandou), and genera Chenopodium carinatum, Cleome gynandra L, Corchorus trilocularis L and Portulaca oleracea, demonstrated resistance to M. incognita. Only Red Stem and Thohoyandou showed resistance to M. javanica. Other predominant plant parasitic nematode species were also recorded during this study from both soil and root samples, namely Helicotylenchus dihystera, Pratylenchus zeae and Rotylenchus unisex. These nematode pests are also associated with staple food crops such as maize, legumes and vegetables. 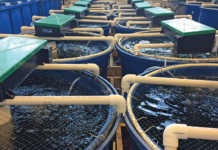 As demonstrated by this study, the production of susceptible ALVs may thus exacerbate the nematode problem experienced in local areas where smallholding farmers practise agriculture. 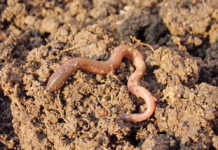 The study also emphasised the importance of knowing the identity of the prevailing nematode species in a land before planting a specific ALV. In most cases, when selecting crops to plant, the ultimate consideration for farmers is yield and quality. However, as a result of smallholders’ limited available land, they will, most likely, grow the same genotype over and over again on the same land. These farmers rarely have access to high-yielding, domesticated or commercial crop varieties other than those in the area where they farm, and these crops can be highly susceptible to prevailing Meloidogyne spp. The problem can also be exacerbated by mixed nematode populations. The main objective of nematode control is thus to grow crops economically, despite the presence of plant parasitic nematodes. Keeping plant parasitic nematode populations low to enable the sustainable production of crops over the long term is thus essential. However, the prevailing Meloidogyne spp should first be identified before these control measures can be successfully implemented. Weeding: The timely weeding of food plots is necessary to limit infection of crops by plant parasitic nematodes. Weeds can serve as hosts and support the development and reproduction of these parasites. Organic matter: This helps retain soil moisture and adds to the available plant nutrients, while increased water and nutrient uptake help plants withstand nematode attacks. Manure, peat or compost: These increase the level of microbes in the soil, thus allowing for the build-up of other beneficial microorganisms that feed on all soil microbes. However, it is essential to ensure that the compost does not include partially decomposed roots or tubers that are infected with plant parasitic nematodes or other soil-borne pathogens. Kraal manure: Previous research has shown that decayed kraal manure reduced root-knot nematode populations by between 41% and 71% in tomato trials, and between 49% and 99% in maize trials. Rotation: Related plants are usually susceptible to the same pests and diseases, and should not be planted close to each other or follow each other in a rotation cycle. Root crops, in particular, should not be planted in the same area of the garden in rotation as they are highly susceptible to plant parasitic nematodes. Planting time: Some crops such as lettuce, onions, leafy green crops, green pea, bean and cabbage can be planted early in the growing season and during colder months to escape damage by plant parasitic nematodes. This is particularly recommended for areas where low temperatures prevail, which may prevent or limit general root-knot nematode reproduction and activity. Destroy residual plants and weeds: Roots and other plant parts need to be destroyed as soon as the plants are no longer viable. Plant parasitic nematodes continue to feed and reproduce on root fragments and other plant parts and can thus damage susceptible follow-up crops. Email Dr Nancy Ntidi at [email protected], or phone 018 299 6100.